The history of schools in Stony Stratford is much longer and more complicated than that of Wolverton, although it is interesting to note that they were all built on the Wolverton Manor, that is on the east side of the Watling Street. Schools only emerged where there was a population centre, so there was no demand in the scattered village of Wolverton, which had in any case become depopulated by the land enclosures of the 16th century. In addition, there was no real recognition of the importance of schooling until the intellectual Humanist movement reached the shore of England in the early 16th century. One must assume that this school began to function as such after 1710. By the 19th century the income from Michael Hipwell’s charity was insufficient for the operating costs of the school and the trustees decided to merge their interests with the new National School Society, which was a Church of England movement with access to state funds. This led to the foundation of St Giles School at Number 30 High Street, next door to the old Rose and Crown in the first decade of the 19th century. The school reigned supreme in Stony Stratford (apart from private schools which I will discuss in another post) for about 30 years to the increasing discontent of non-conformists. The non-conformists were not entirely without support. There was a counter movement in the 19th Century to provide a school curriculum for Non-conformists and almost parallel with the National Schools another sort of school, with more-or-less the same funding arrangements, came into being as British Schools, sometimes known as “Lancastrian Schools” after their founder Joseph Lancaster. While these schools began to make their appearance in England after 1819, the first British School to come to Stony Stratford was built in 1844 at the very south end of the High Street at a cost of £750. You can still get a good view of it at the Corner of the High Street and the Wolverton Road. The curved corner is a nice thought and in more recent times this has been mirrored in a newer building on the opposite side of the street. This school lasted for about 70 years and then was moved to a new building built by the Council on Russell Street in 1907. 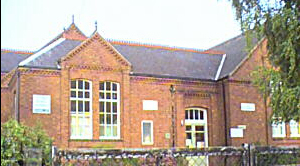 This building is still used as an Infants school. 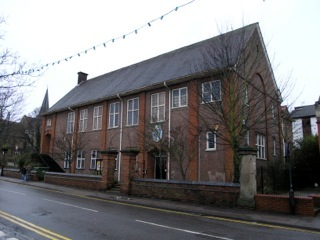 The old British School continued in use as a public hall. 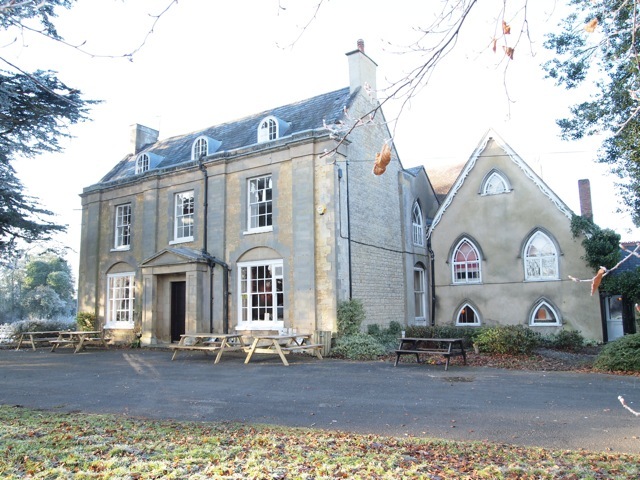 In 1858 St Giles school was partly rebuilt and enlarged in the grounds at the back of the Rose and Crown properties at the instigation of the Reverend W T Sankey who spent his private income very liberally in Stony Stratford. And again in 1867, the generosity of another vicar, this time the Rev. William Pitt Trevelyan, at that time Vicar of Holy Trinity, built another school on the corner of the London Road. 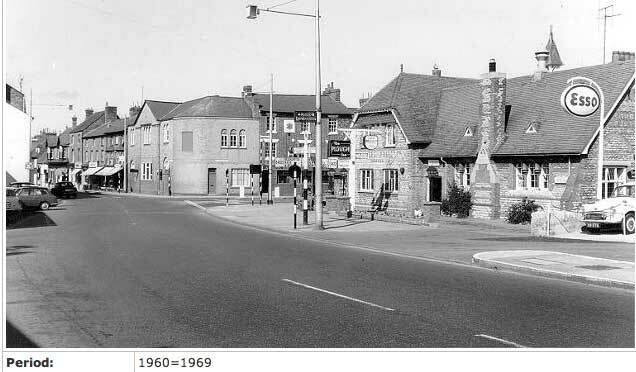 This one, designed by the architect Edwin Swinfen Harris, is now the Plough Inn, which you can see in the above photograph. 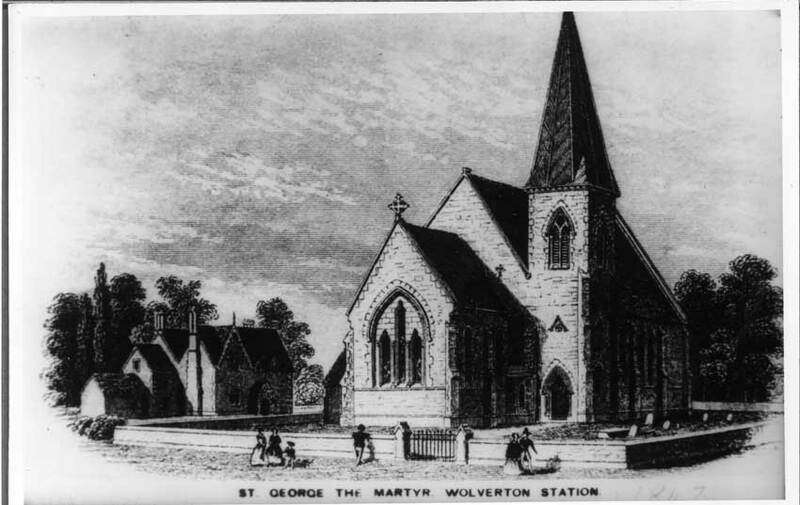 This school was another church school, designed for the expanding population at the “Wolverton End” which in time formed a new parish, known as Wolverton St Mary’s. At first it served Boys Girls and Infants, but in the 20th century there was some rationalisation with St Giles on the High Street – St Giles took the boys and the newer school was used for Girls and Infants only. In 1936 a new school opened on King George’s Crescent, and the old schools closed and were converted to private use. The school designed by Swinfen Harris was occupied by The Plough Inn, which for many years had conducted its trade in a building next door. There is a certain symmetry in this. The Rose and Crown became a school and the school on the corner of the London Road became a pub! Thanks to David Weatherhead for this bit of memorabilia. I don’t know when punch card time clocks were introduced but it was probably a 20th century invention. Which I suppose begs the question of how work time was monitored before the introduction of these clocks. The one shown here must have been of pre-WWII date and was probably a precision timepiece. Each employee had a time card which could be inserted to record time in and time out. You could of course clock in early but if you clocked out early you would lose pay. I think a minute might cost you at least a quarter of an hour’s pay – possibly more. Because of this men would leave their work five minutes early and would line up to clock out. Once the minute hand had ticked over men wuld rapidly process their time cards and the exodus from the works gates at lunchtime and at the end of the day would rapidly become a flood. Time clocks such as this one were in use until 1996, when they were replaced by an electronic version. The British Heritage reference can be found here. The cast iron milepost dates from 1833 – that much is a fact. 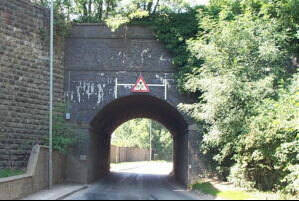 However the listing suggests that a mistake was made in the casting – one side reads “Buckingham 9 miles and below it Stratford 1 mile”; the other side reads “Newport Pagnell 5 miles and below Stratford 1 mile.” They argue that the casting should show “Wolverton” on one side, and indeed in later years this was painted on. On thinking about this the mile post would have made perfect sense to a traveller in 1833. You were one mile from the crossroads and you either had 9 miles to go to Buckingham or 5 miles to Newport Pagnell depending on your direction. You were, to all intents and purposes already in Wolverton as it then was and a mile post would be unnecessary. 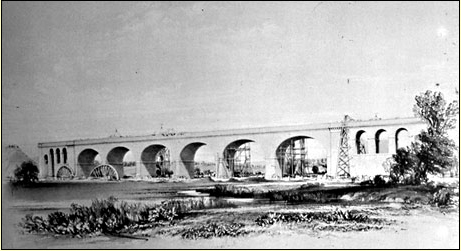 In fact it could not have been placed at the location we all knew in the 20th century because the new road linking Wolverton Station and Stony Stratford was not constructed until many years after. After the railway was built Wolverton Station was exactly two miles from Stony Stratford when the Stratford Road was built and I would be inclined to assume that the “Wolverton 1 mile” was later painted on to reflect that fact. There was, in my opinion, no mistake in the original casting. 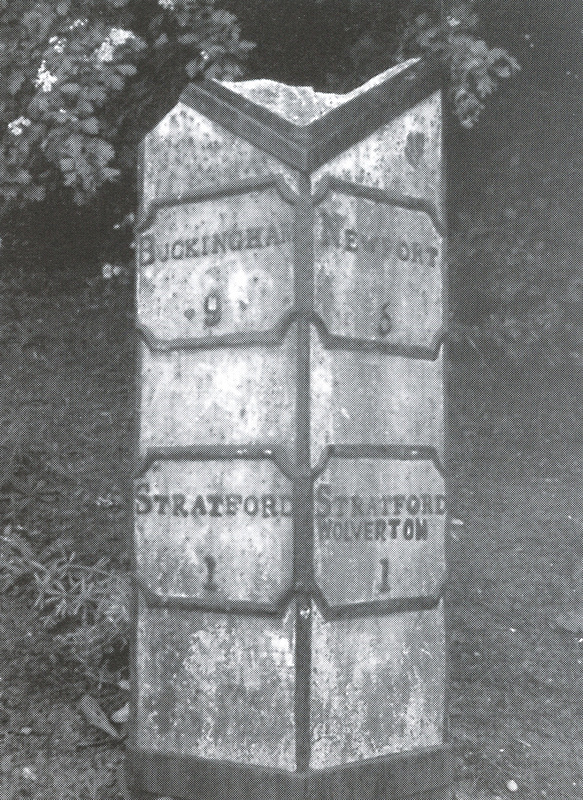 The milepost, pre-restoration, looked like this. Old Wolverton’s buildings obviously pre-date Wolverton, but, surprisingly perhaps, not by much. 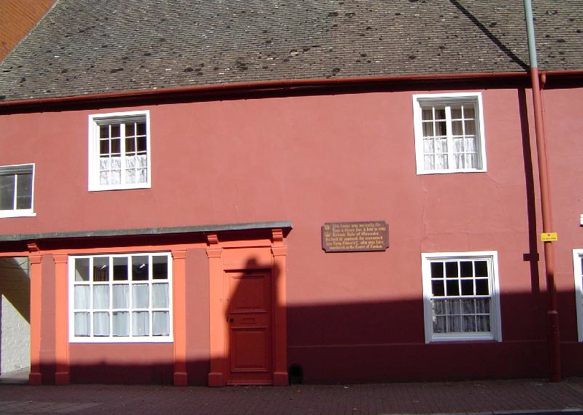 Wolverton House dates to 1783 and all the other surviving buildings come after that. here is the British Heritage list. This version of the church dates from 1817 when it replaced the medieval church, although it retained the tower. A school was comparatively late coming to Old Wolverton. 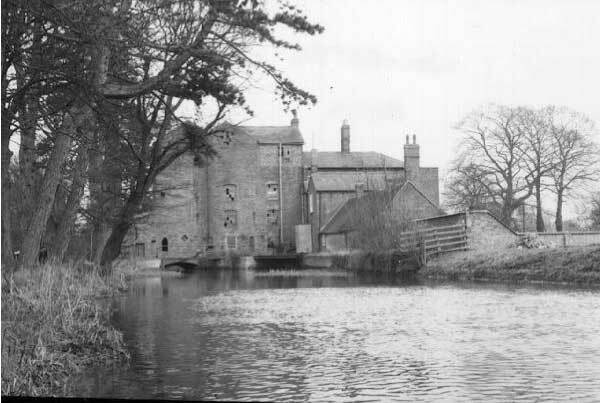 Stony Stratford had school and New Wolverton had its own school in 1839. New Bradwell even had a school before this one was built in 1856. Thanks to Andrew Lambert for this idea. I am going to go on a tour of the listed buildings in the area. I’ll start with Wolverton, then do Old Wolverton, Stony Stratford and New Bradwell. I can’t help but comment on the arbitrary nature of the listing process. The original Engine Shed did not get listed and was consequently flattened to make a Tesco car park, but the Triangle Building, started in 1845 and much enlarged and adapted over the years, makes the list. The school of 1840 is not listed, nor is the Royal Engineer of 1841. Why is the Aylesbury Street School of 1906 listed and not the Moon Street School of 1908? The information below is presented as links to the British Heritage site. The information is under crown copyright and cannot be reproduced here. Just as well perhaps, since there are a number of instances where the descriptions are factually wrong. 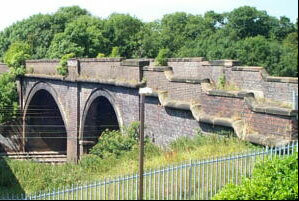 The Blue Bridge was a farm track from Stacey Hill Farm to the fields sloping down to Bradwell Brook. The building and history of the church has been covered in various posts. 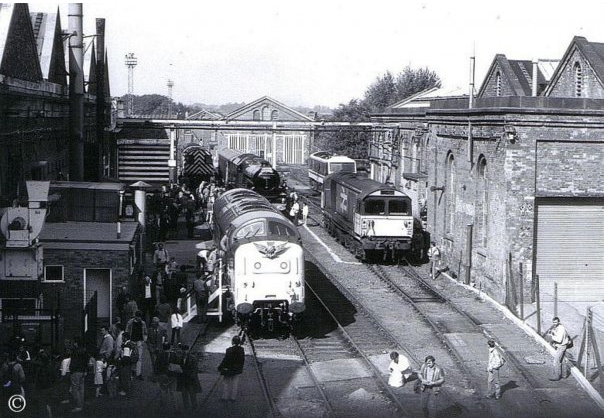 In 1845 the LBR used the land on the east side of the line to build a new shed. 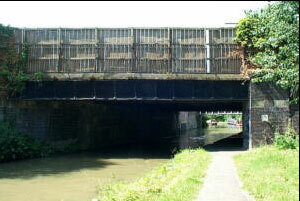 In time this expanded to fill the whole triangle area between the canal, the Stratford Road and the old railway line. It was henceforward known as the Triangle Building. I rather think that it would take some serious archaeological work to identify which part of this building was the original Reading Room of 1840. 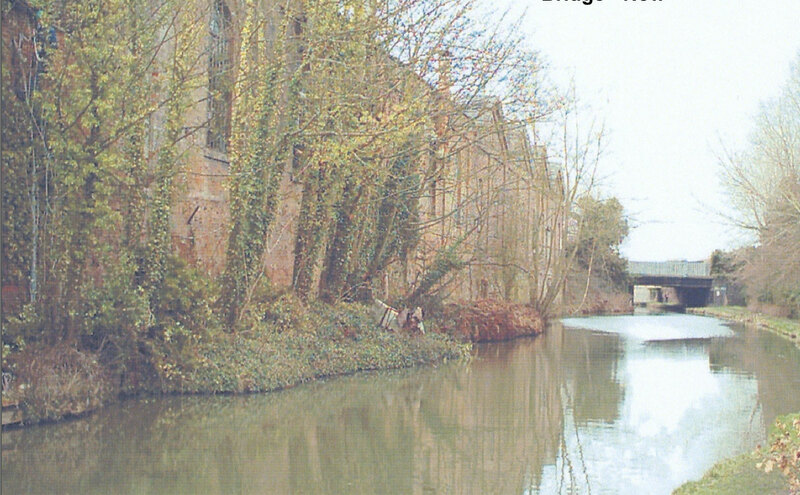 Back then it was certainly a single storey structure and the road and canal bridge were lower. The openings for doors and windows do not resemble anything visible on the surviving planss from the 840s. Funny what the word “Royal” can do. This long shed and workshop was built in the 1880s when the main line was diverted and sat on the embankment above the Park. It was used in the 20th century to store the Royal Train when it was not in use, thus giving the building a significance which it might not otherwise have had. This is the best photo I have at the moment, surrounded by boards, empty and awaiting some fate. The barn was built in the 1840s when the new farm house was built on top of the hill. (Formerly Stacey Farm had been closer to Bradwell Brook.) 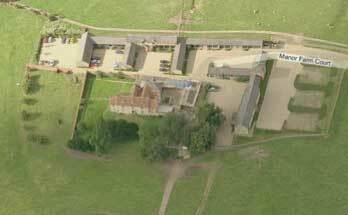 It was a large timbered structure and was given a Grade II listing. Unfortunately it burned down in a fire in 1996 so the preservation order didn’t help very much! 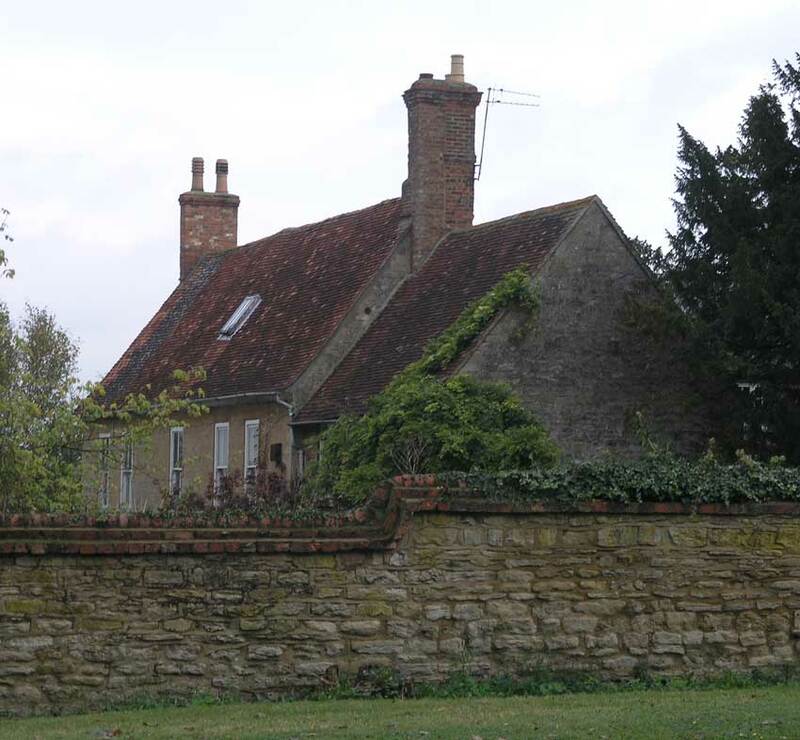 The farm house, built I understand, by the very young Charles Aveline is now occupied by the Milton Keynes Museum and can be visited during opening hours. I haven’t got much idea of what this is. 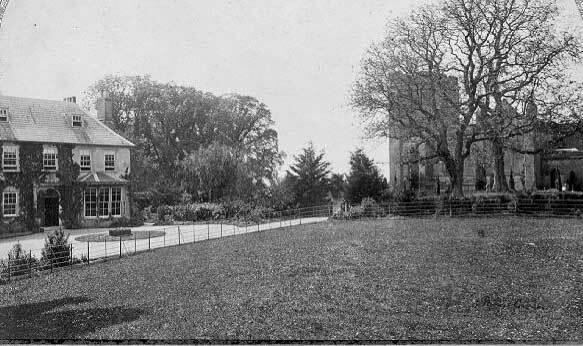 I assume from the description that it was a garden structure in the grounds of the Vicarage. The girls and infants continued to use the 1840 school on Creed Street until 1906 when this was built. 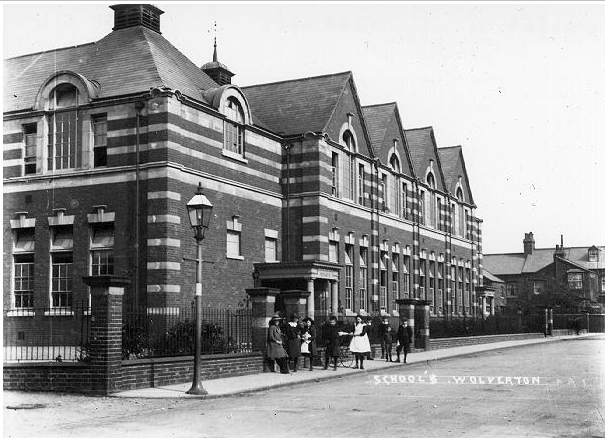 At the time it was Wolverton’s grandest school until the Secondary School opened at the end of Moon street in 1908. The Creed Street School did service as a Market Hall until the Agora was opened. This was in 1896 the new Boys School and remained so until about 1946 when the Secondary Modern came into being. From that time on all the Wolverton schools were co-ed. 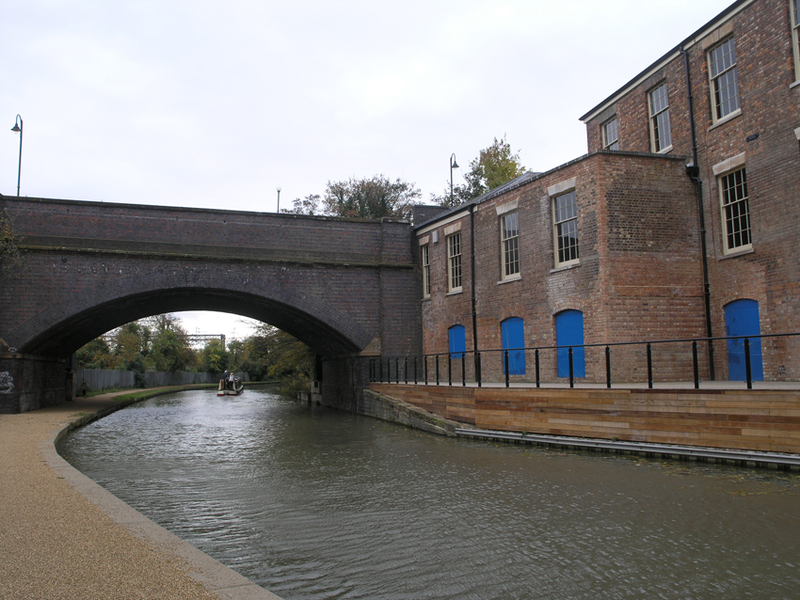 Wolverton, for the most part, remains an architect-free zone. At the beginning, the first Engine Shed was designed by an architect, although Edward Bury, the first Locomotive Superintendent, was not inclined to give the architect a free hand. 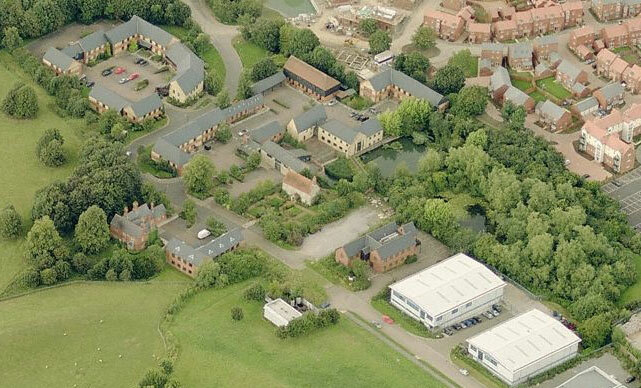 The first houses, in fact all the streets, were laid out and constructed by builders, mostly by Dunkley of Blisworth. Architcets were not involved as they were with Swindon and Crewe, and you could argue that it showed. 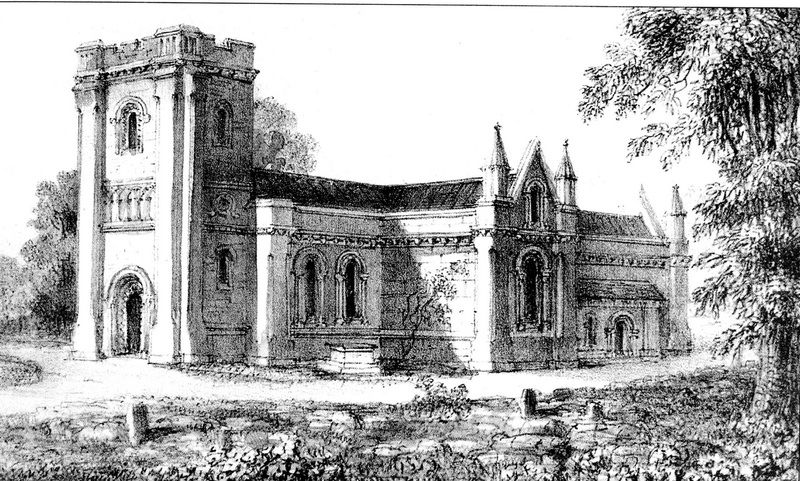 The church and vicarage of St George (1844) was designed by an architect, and architects were called in to design the Church Institute in 1908. I don’t know about the first school (now the library) on Creed Street (1841) but I imagine an architect was used. This was certainly the case with the Science and Art Institute, which burned down in 1970. The twentieth century schools, Church Street, Aylesbury Street, Moon Street and The Radcliffe School were all designed by architects. I don’t know if the Victoria Hotel, The Craufurd Arms and the Top Club used architects – they may have done. In more recent times, the modern flats and high rise tower that replaced the “little street” terraces were designed by architects, as was the Agora and presumably the Tesco development. 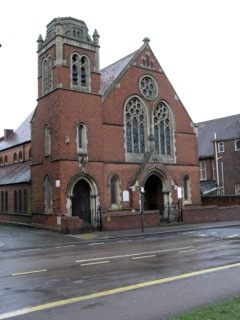 The Aylesbuty Street and Moon Street schools have some visual appeal, and the church – well, it is what it is – a 19th century gothic revival church, but too modest in scale or decoration to be impressive. The Craufurd Arms and the Top Club have some decorative appeal but I suspect they would not win prizes. The Church Institute is functional but quite boring. Some of the houses on the Stratford Road, Church Street, Oxford Street and The Square have some embellishments on their frontages. 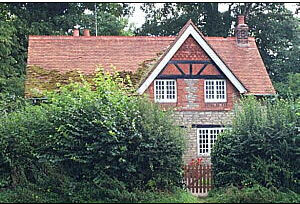 The general impression of 19th century Wolverton is that of red-brick uniformity. You have to look very carefully to see the imaginative detail. 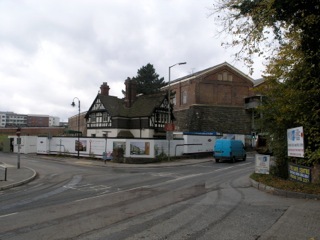 Which leaves us with the Agora, the Gables Tower and associated flats and the Radcliffe School. All of those concrete and steel and glass buildings of the 1960s were built with function and cost in mind and not much of a nod to the aesthetic. It seems odd to me in retrospect that we once admired the clean functional lines of 1960s architecture. I doubt if they will be much mourned when the time comes for their demolition. The Agora had possibilities and I think the designers were genuine in their attempt to provide a central architectural feature for Wolverton. They failed in my view. The huge block divides rather than unites the town’s commercial areas, and it closed off Radcliffe Street which was one of Wolverton’s arterial streets. Inside, accommodating what appears to me to be a flea market, the atmosphere is gloomy. The exterior, although imposing, is unlovely. There is more than a hint of some clever twentieth century brain trying to patronise the practical Victorians who built Wolverton. Despite the size and bulk of the building, it sits majestically among the Victorian neighbours, with no visual niceties or concessions, without playing second fiddle to anyone. This building is a hidden gem (not visually exciting – more like an uncut precious stone) and has a lot of lessons to offer to many people of differing disciplines. To be balanced, the Agora does have (did have?) some potential, but whatever potential it did have was spoiled by the siting of the building. I have discussed this before (here) and had it been built to the west of Radcliffe Street the story might have been a different one. I have not had to live with the Agora but what I gather from Wolverton residents is that it is an unloved building. My conclusion has to be that Wolverton has been poorly served by architects over 170 years. Will this change? Cambridge Street was developed up to Green Lane in the late 1890s. At the same time two large, south facing houses were built on the vacant block in front of the new tennis courts. They were called The Beeches and Yiewsley. The name Yiewsley may come from a place name in the old county of Middlesex, although I really have no idea where it might come from. The Beeches appears to have stuck with the prevailing fashion in Wolverton of naming larger houses after trees. The inscribed brick tells us that they were erected in 1894. 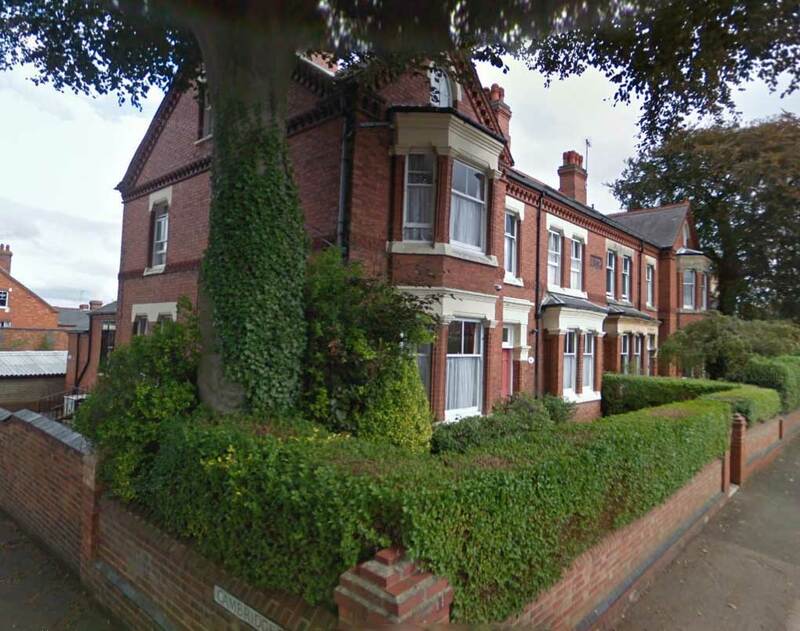 With The Gables, The Elms, the old Villas, and a few larger terraced houses on the Stratford Road and the new Market Square these two semi-detached houses made up a very small complement of middle-class housing. 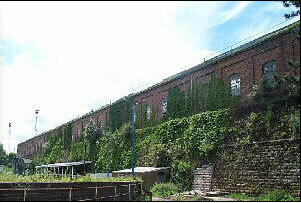 The first occupant of The Beeches was William Purslow, who was a senior figure in the Carriage Works. Yiewsley was inhabited by Heber Martin Williams, also a senior works employee. Within a decade Yiewsley became the residence and surgery of a doctor. Edmund Penney was there for about 20 years or so and was succeeded by David Max. After the war Dr Delahunty had a practice there and he in turn was succeed by Dr Hall – probably in the late 50s. In the Milton Keynes era purpose-built clinics became the norm and doctors tended to live away from their place of work. As housing stock in North Bucks increased and road transportation improved I think senior works managers began to look outside Wolverton for their houses and although The Beeches remained in private hands, it was not occupied by a railway employee. In the 1950s a Major Brooks and his family lived there. I don’t know what he did, possibly worked at Hanslope Park. He had two sons who went to a private school somewhere and made brief appearances in Wolverton during their holidays. They were two of a very small handful of children who were privately educated in the 1950s. Most Wolverton families accepted the local schools – and there did not appear to be very much question about their quality.